Sri Lanka has briefed diplomats based in the country on moves to restore democracy, the Foreign Ministry said on Wednesday. The Ministry of Foreign Affairs also said it has decided to have regular briefings for diplomats and the media based in Sri Lanka. 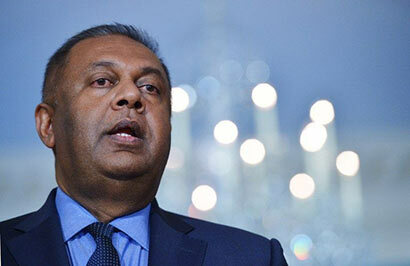 A statement from the Foreign Ministry quoted Foreign Minister Mangala Samaraweera as saying that the Ministry has appointed an official spokesperson to hold regular briefings and interactions with the media and diplomatic community. Samaraweera has briefed ambassadors representing twenty four countries and other senior diplomatic officials on the achievements of the government over the last four months. He also outlined some of the government’s future plans. His briefing explained efforts by the government to restore democracy through constitutional, administrative and cultural changes. The critical importance the government placed on efforts to build a “truly multi-ethnic, multi-cultural and multi-lingual society where diversity is celebrated” and where all citizens would enjoy “full and equal citizenship” was also emphasized, the Foreign Ministry said. In this context, he highlighted efforts underway to win the trust of all Sri Lankans and discussed plans to address key issues especially missing persons, restoring land to rightful owners and reconciliation. Samaraweera also noted that Sri Lanka, whose foreign policy has been reset to serve the interests of all Sri Lankans, was eager to regain its position as a constructive and respected member of the international community.